It is a greek temple similar to the Partenon. I don't have kinda good textures, so feel free to give me some You can also texture it yourself if you want. It is not as big as the hexagon, but it is kinda cool... Feel free also to make mods based on it. This is my first level and I made some mistakes initially, so it is not the greatest level. Thanks to EdT for all the help. To enable it, go to level 4 (the airport assault) and do the "winlevel" cheat, or just use my patch. Yes, lol, I actually wanted to make so that you don't have to jump, but I couldn't do that. You accomplished a lot in a short time. I noticed how you used an invisible ramp over the steps in one area. Though you missed the other steps. With careful planning you may be able to add invisible ramps to the winding staircase! The one you were using had lots of unnecessary stuff in there.. The script worked on my Mac. BTW, you have 2 AKEV files in the package. mm how do u mean incompatible with jubei and akane ? what happens ? Oni won't actually start, and will give some errors in the debugging.txt file (I think that is the name). i like it ^^ ! especially since u made it all manually ! ... and it works fine with jubei and akane for me. try installing it as only package with jubei and akane and tell me if it crashes. I'll try that, but I can already tell you that installing everything and Akane and Jubei won't work, and installing everything else but Jubei and Akane, works. mm ok weird though it's usually the onirulez weapons package that causes some problems ... make sure u have the latest jubei and akane pack and that they work fine on their own. anyway when i saw the level i felt it would be a nice setting for a boss battle with hayate. awesome. I cannot wait to see more, keep up the good work. Lukas: Can you start a new thread: Sketchup tutorials for making levels, and give us a basic tutorial on how to make a level model. It could be as simple as a ground and a box. Please include project settings, how to texture the model, export settings, etc. Then a newbie to Sketchup could follow the tutorial and make an Oni ready level model. I think Sketchup will be an easy way to create level models. Ah... That is very interesting... Okay, I decided to make it using text and images. But yes, I think SketchUp is good for this because it is made specifically to design things like buildings and architecture objects. Actually, I think I'll make it now, I have some spare time. Pretty nice level, it may give me some ideas to work. I wonder if we won't see many parkour levels in the future. Thanks. Parkour is pretty cool, I'm sure someone will make some Parkour levels. Maybe I make, but I'm not sure. Well how about porting some maps from other games? Did anyone thought about that before? We can try that, but we will need the maps in the .dae format. Also, we need all textures. 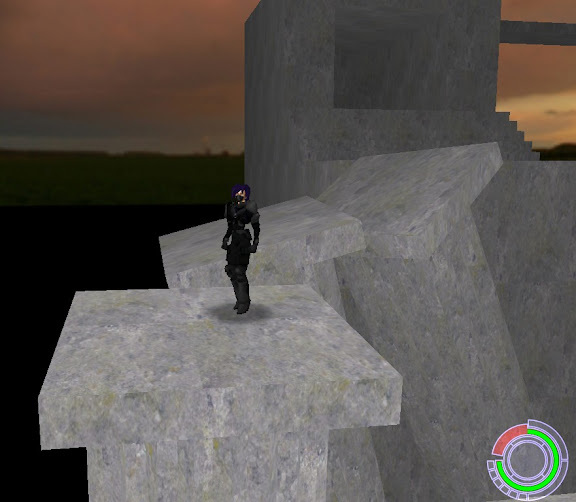 Actually, the Maze level, for example, was taken from the Google 3D Warehouse, so we can probabily find levels of some game in .dae or some format we can convert. Hmmm... Sounds like a plan. What about GoldSrc maps; HL1/CS? Again, in theory. You just need to find a tool to convert it to a standard model format.